In 1984 when big brother was meant to invade our privacy I was a graduate student in Glasgow working on lattice gauge theories. As part of the research towards my doctorate I spent a week on a special mission to Germany where I was allowed into a secret nuclear base to borrow some computer time on a Cray-XMP. It was the world’s fastest supercomputer of the time and there was only one in Europe so I was very privileged to get some time on it even if it was only a few hours of CPU. Such resources would have been hugely expensive if we had to pay for them. I remember how the German’s jokingly priced the unseen cost in BMWs. The power of that computer was 400 Megaflops and it had a massive 512 Megabyte ram disk. The problem I was working on was to look for chiral symmetry breaking in QCD at high temperatures and densities using lattice simulations. In the last few years this has been seen experimentally at the LHC and other heavy ion accelerators but back then it was just theory. To do this I had to look at the linear discretised Dirac equation for quarks on a background of lattice gauge fields. This gave a big hermitian NxN matrix where N is the number of lattice sites times 3 for the QCD colours. On a small lattice of 164 sites (working in 4D spacetime) this gave matrices of 196608 square and I had to find its smallest eignevalues. The density of this spectrum says whether or not chiral symmetry is broken. Those are pretty big matrices to calculate the eigenvalues of, but they are sparse matrices with only 12 complex non-zero components in each row or column. My collaborators and I had some good tricks for solving the problem. Our papers are still collecting a trickle of citations. Thirty years later big brother has finally succeeded in monitoring what everyone is doing in the privacy of their own homes and my desktop computer has perhaps 100 times the speed and 30 times the memory of the Cray-XMP, which makes me wonder what I should be doing with it. 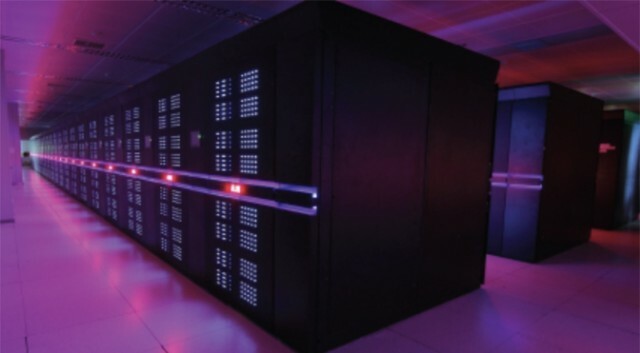 The title for the fastest supercomputer has recently been taken by China’s Tianhe-2 which has been benchmarked at 33.86 Petaflops and it has a theoretical peek performance of 53.9 Petaflops so it is about 100,000,000 times faster than the Cray. This beats Moore’s law by a factor of 5000 which may be in part due to governments being willing to spend much more money on them. The US who more commonly hold the record wont be beaten for long because the NSA is said to have a secret and very expensive project to build a supercomputer to surpass the Exaflop mark in the next few years. I doubt that any HEP grad students will have a chance to use it. This begs the question: Why do they need such powerful computers? In the past they may have been used to simulate nuclear explosions or design stealth fighters. Now they may be needed to decrypt and search all our e-mails for signs of dissenting tendencies, or perhaps there is an even more sinister purpose. When computer pioneers such as Von Neumann and Turing conceived the possibility of building electronic computers they thought it would be easy to make computers think like humans even though they had no idea how fast computers would become. This turned out to be much harder than expected. Despite some triumphs such as “superhuman” chess programs which can now crush the best grandmasters (see discussion at World Science Festival) the problem of making computers think like us has seen little progress. One possibility that looked promising back in the 1980s was neural networks. When I left academia some of my colleagues at Edinburgh were switching to neural networks because the theory and the computing problems were very similar to lattice calculations. Today their work has applications in areas such as facial recognition but it has failed to deliver any real AI. 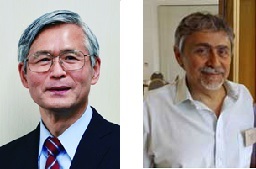 Now a new idea is raising hopes based on the increasing power of computers and scanning technologies. Can we simply map the brain and simulate it on a computer? To get a flavour of what is involved you can watch this TED talk by neuroscientist Sebastian Seung. His aim is to simulate a small part of a mouse brain, which seems quite unambitious but actually it is a huge challenge. If they can get that working then it may be simply a case of scaling up to simulate a complete human brain. If you want to see a project that anyone can join try OpenWorm which aims to simulate the 7000 neuro-connections of a nemotode worm, the simplest functioning brain in nature (apart from [insert your favourite victim here]). An important step will be to scan every relevant detail of the brain which consists of 100 billion neurons connected by a quadrillion synapses. Incredibly the first step towards this has already been taken. As part of the European Human Brain Project funded with a billion Euros scientists have taken the brain of a 65 year old women who died with a healthy brain, and they have sliced into 7404 sections each just 20 microns thick (Obama’s Brain Mapping Project which has had a lot of publicity is just a modest scaled down version of the European one). This is nearly good enough detail to get a complete map of the synaptic connections of every neuron in the brain, but that is not clear yet. If it is not quite good enough yet it is at least clear that with an order of magnitude more detail it will be, so it is now only a matter of time before that goal is achieved. If we can map the brain in such precise detail will we be able to simulate its function? The basic connectivity graph of the neurons forms a sparse matrix much like the ones I used to study chiral symmetry breaking but with about a trillion times as many numbers. An Exaflop supercomputer is about a trillion times more powerful than the one I used back in 1984, so we are nearly there (assuming linear scaling). The repeated firing of neurons in the brain is ( to a first approximation ) just like multiplying the signal repeatedly by the connection matrix. Stable signals will be represented by eigenvectors of the matrix so it is plausible that our memories are just the eigenvalue spectrum of the synaptic map and the numerical methods we used in lattice gauge theories will be applicable here to. However, the processes of logical reasoning are more than just recalling memories and will surely depend on non-linear effects in the brain just as the real physics of lattice QCD depends on the highly non-linear interactions of the gauge field. Will they be able to simulate those for a human brain on a computer? I have no idea, but the implications of being able to do so are enormous. People are starting to talk seriously about the moral implications as well as what it may bring in capability. I can understand that some agencies may want any such simulations to be conducted under a veil of secrecy if possible. Is this what is driving governments to push supercomputer power so far? It would be ironic if the first true artificial intelligence is actually a faithful simulation of a human brain. No doubt billionaires will want to fund the copying of their own brains to giant supercomputers at the end of their lives if this becomes possible. But once we have the capability to simulate a brain we will also start to understand how it works, and then we will be able to build intelligent computers whose power of thought goes far beyond our own. Soon it may no longer be a question of if this is possible, just when. 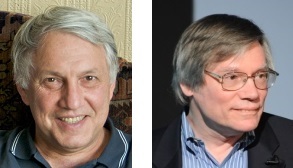 HCP 2011: Will it Deliver? The rumour mill is once again turning its rusty wheels, and there are suggestions that an interesting result will be revealed at Hadron Collider Physics conference in Paris next week. More on that in a minute. 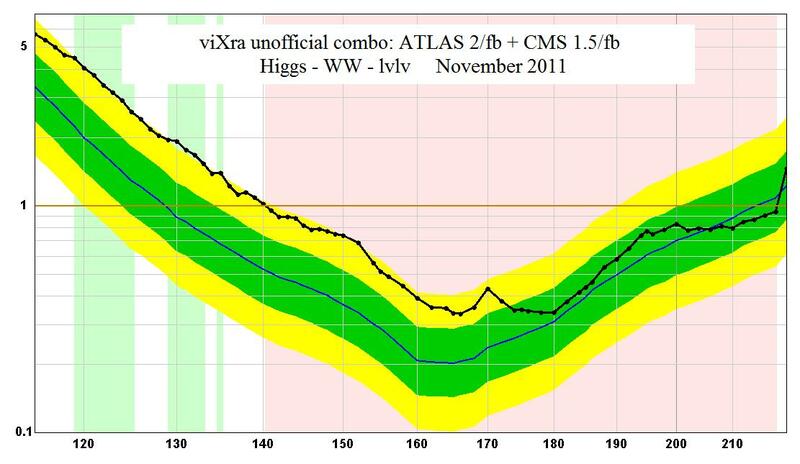 One thing that turned up was an update to the Higgs -> WW analysis for ATLAS upgrading it from 1.7/fb to 2/fb, The effect is not terribly exciting, nothing has changed. So now we are waiting for the HCP conference but not much is expected, or is it? The full schedule of talks can be found here. If this is to believed even the new update for H -> WW will not be shown. The only thing certainly new is the ATLAS+CMS combination of data shown at Lepton Photon nearly three months ago. But then an organizer speaks of a last-minute talk being added and a comment over at NEW says “…or maybe something else violates CP at 3.5 sigma level.” So do we have a new rumour about – perhaps – a result from LHCb, or is someone just hyping the conference? 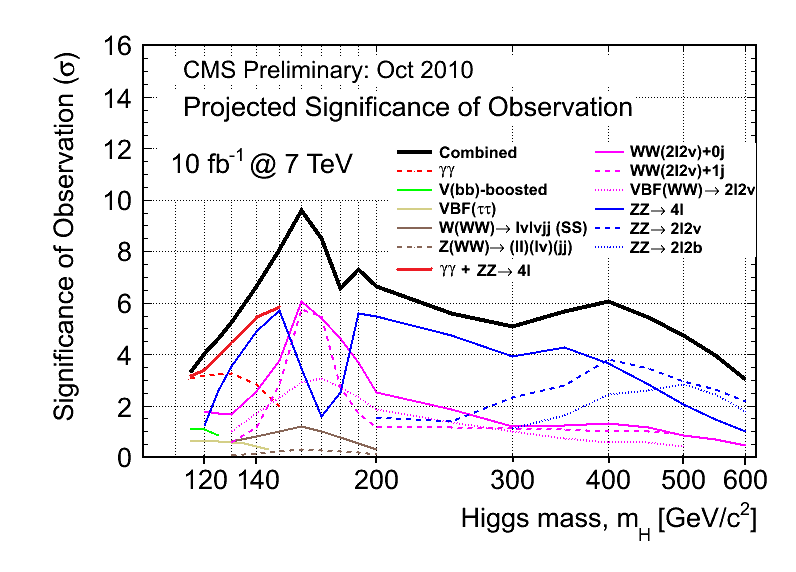 Apart from that the next big question is when will the next wave of Higgs results be revealed? They must have done more analysis at 2/fb, yet we have not had anything beyond 1/fb for the crucial diphoton search from ATLAS. I am sure they must have also looked at plots using 3/fb to 4/fb but nothing has been said, except a few vague rumours that I don’t find convincing. Rumour Update 24-Nov-2011: The rumour apparently concerns a measurement of ΔACP at 600/pb and will be shown in the last talk today at HCP11. This quantity is the difference between decays of a charmed D meson into Kaons or pions. 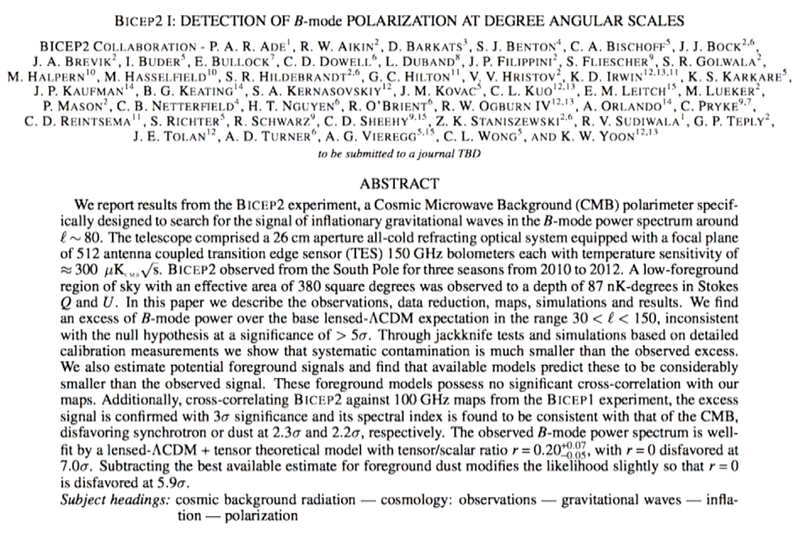 It is not yet clear if the rumoured 3.5 sigma result is merely a signal of CP violation or a deviation from the standard model. What is the Future for Particle Accelerators? This year all physics eyes are on the Large Hadron Collider as it approaches its promised landmark discovery of the Higgs Boson (or maybe its undiscovery). 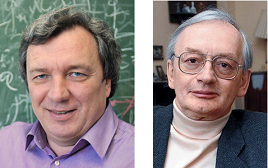 At the same time some physicists are planning the future for the next generation of colliders. What will they be like? The answer depends in part on what the LHC finds. Nothing is likely to be built if there is no sign that it will do anything useful, but decisions are overdue and they have to make some choices soon. Accelerators like the LHC that collide protons are at the leading edge of the Energy and Luminosity frontiers because they work with the heaviest stable particles that are available. The downside of colliding protons is that they produce messy showers of hadrons making it difficult to separate the signal from the noise. With the Tevatron and now the LHC, hadron colliders have been transformed into precision experiments using advanced detectors. One technique is to capture and track nearly all the particles from the collisions making it possible to reconstruct the jets corresponding to interesting high energy particles such as bottom quarks created in the heart of the collision. Missing energy and momentum can also be calculated by subtracting the observed energy of all the particles from the original energy of the protons. This may correspond to neutrinos that cannot be detected or even to new stable uncharged particles that could be candidates for dark matter. High luminosities have been achieved making it possible to scour the data for rare events and build up a picture of the interactions with high statistics. As luminosity increases further there can be many collision events at once making it difficult to reconstruct everything that happens. The LHC is now moving towards a new method of operation where it looks for rare events producing high energy electrons, muons and photons that escape from the heart of the collision giving precise information about new particles that decayed without producing jets or missing energy. In this way hadron colliders are getting a new lease of life that turns them into precision tools very different from how they have been seen in the past. So what is the future of hadron colliders? The LHC will go on to increase its energy to the design limit of 14 TeV while pushing its luminosity even higher over the coming years. Its luminosity is currently limited by the capabilities of the injection chain and the cryogenics. These could undergo an upgrade to push luminosities ten times higher so that each year they collect 50 times as much data as they have in 2011. Beyond that a higher energy upgrade is being planned that could push its energy up to 33 TeV. The magnets used in the LHC main ring today are based on superconducting niobium-titanium coils to generate magnetic fields of 8.5 tesla. Newer magnets could be built using niobium-tin to push the field up to 20 Tesla to more than double the energy. 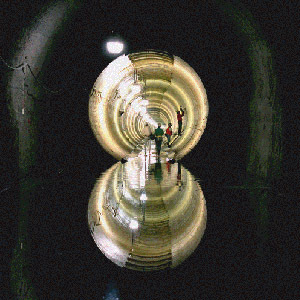 If they could revive the tunnel of the abandoned SSC collider in Texas and use niobium-tin magnets it would be possible to build a 100 TeV collider, but the cost would be enormous. The high-energy upgrade for the LHC is not foreseen before 2030 and anything beyond that is very distant. Realistically we must look to other methods for earlier advances. The latest linear accelerator built to date is SLAC at Stanford with a centre of mass energy of 90 GeV. As hadron colliders reach their physical limits physicists are returning to the linear design for the next generation of colliders. When accelerating in a straight line there is no advantage in using heavy particles so linear colliders work equally well with electrons and positrons which give much cleaner collisions. The most advanced proposal is the International Linear Collider which would provide centre of mass energies of at least 500 GeV with 1 TeV also possible. 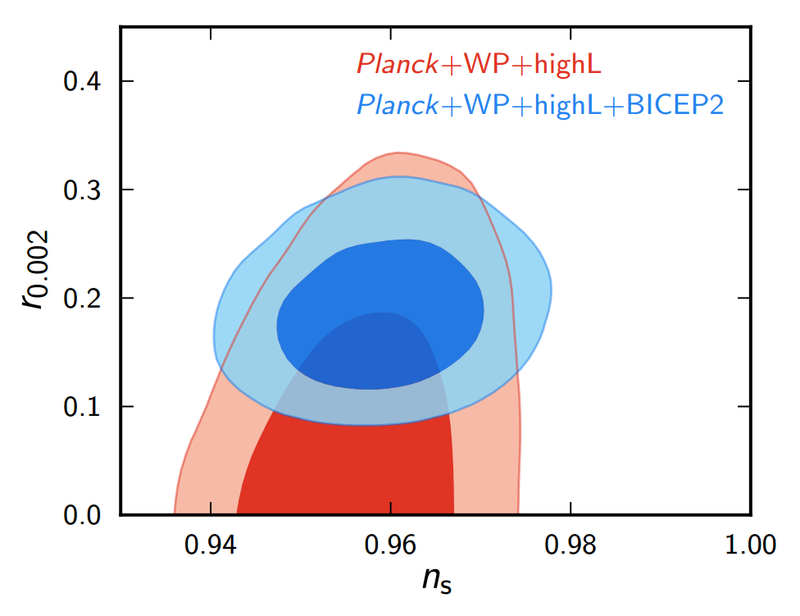 The aim of the ILC would be to study the Higgs boson and top quark with very high precision measurements of their mass, width and other parameters. This may seem like an unambitious goal but if the LHC finds nothing beyond the standard model in the data collected in 2011 this could be the best option. the standard model makes very precise predictions about the quantities that a linear collider could measure. If these can be checked, any deviations could give clues to the existence of new particles at higher energies. Such precision measurements have already been useful in predicting where the mass of the Higgs Boson lies, but once all the parameters of the standard model can be measured the technique will really come into its own. Finding solid evidence for deviations from the standard model would be the requirement to choose and justify the construction of the next collider at the energy frontier. But there is an alternative. A new innovative design for a compact linear collider (CLIC) is being studied at CERN and it could push the energy of linear colliders up to 3 TeV or even 5 TeV. 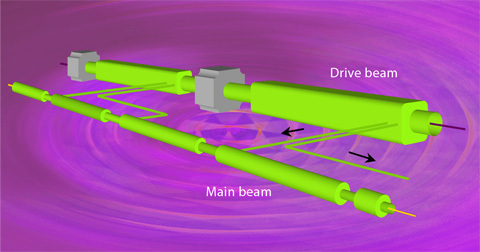 The principle behind CLIC is to use a high intensity drive beam of electrons at lower energy to accelerate another lower intensity beam of electrons too much higher energy. Just think of how a simple transformer can be used to convert a high current low voltage source of electricity into a low current high voltage source. CLIC does a similar trick but the coils of wire in the transformer are replaced by resonant cavities. It is a beautiful idea, but is it worth doing? The answer depends on whether there is anything to be found in the extended energy range. This is being explored by the LHC and so far nothing new has been seen with any level of certainty. There is still plenty of room for discovery but decisions must be made soon so the data collected in 2011 will be what any decision has to be based on. It is going to be a hard choice. For me it would be swung towards CLIC if it could be the start of a design that could lead to even higher energies. Could the same trick be used a second time to provide even higher energies, or is it limited by the amount of power needed to run it? Do other designs have better prospects, such as a muon collider? Big money and decades of development are at stake so let’s hope that the right decision is made based on physics rather than politics. Perhaps it is worth a poll. If it was a straight choice, which of these would you prefer to see international funds spent on?